Is it time to rip up and start again with the web-slinging hero? The cinematic future of everyone's friendly neighbourhood Spider-Man is currently very uncertain. After the lukewarm reception received by this past summer's The Amazing Spider-Man 2, it seems that Sony has gotten cold feet about continuing the current incarnation of the franchise. Officially, The Amazing Spider-Man 3 has been pushed back to a May 2018 release, leaving a 2016 release date free for Sinister Six, a spin-off focusing on a popular group of Spider-villains. 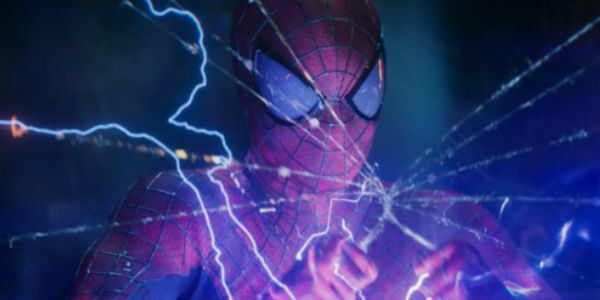 Current rumours even suggest that the Spider-Man that will appear in Sinister Six might not even be played by Andrew Garfield, but at the very least, it seems Sony are hedging their bets on deciding whether to forge ahead with more solo Spidey movies until after Sinister Six sinks or swims. This all might sound like something of an over-reaction when you consider that The Amazing Spider-Man 2 made $708 million worldwide, which by most other franchise's standards would be considered a massive hit. However, if one looks at the box-office performance of each film, it shows a steady decline in revenue. Each subsequent movie has made less money than the previous one, both domestically and worldwide. To put the disappointing performance into even sharper focus, Raimi's Spider-Man made $821 million worldwide and that was in 2002, a full 12 years ago. Consequently, the word 'reboot' will have surely been bandied about in the Sony offices recently, and this article will detail ten different ideas they could implement if they chose to hit the reset button on Spidey again. We're not entirely sure whether it would be the right thing to do, as two different reboots of the same character in less than 15 years would surely be a bridge too far in terms of audience goodwill. Sony would certainly be accused (again) of being creatively bereft when it comes to their Spider-Man licence, but nonetheless, we'll play devil's advocate for this article anyway. The first five entries in our list apply to Sony, assuming they maintain the rights to the character. But the top five entries deal with the (perhaps unlikely, but definitely awesome) possibility that Marvel Studios manage to wrestle the rights back. Comics. Movies. TV. Wrestling. Video Games. Husband. Father. Geek.